Byron Schenkman & Friends combine instrumental and vocal pieces in their program celebrating the multifaceted musical poetry of Robert and Clara Schumann. For Robert Schumann, the Romantic concept of poetry was the common denominator that inspired him to compose across a wide range of genres. And while he stands out among classical composers for his refined literary sensibility, it didn’t matter whether words were involved: “Music is poetry raised to a higher power,” Schumann wrote in his teenage diary. 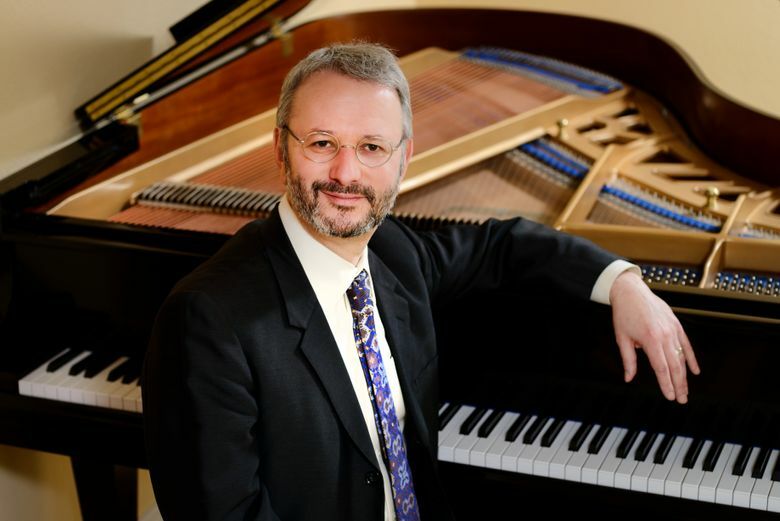 That insight is the unifying principle of the upcoming program from Byron Schenkman & Friends, a chamber-music series that the Seattle-based keyboard master and music director launched in 2013 and is now in its fifth season. Programs designed around particular themes are part of Schenkman’s strategy to provide fresh contexts for thinking about familiar composers — and encountering some of their neglected peers. Presenters of classical music tend to compartmentalize instrumental and vocal works — and there are notable differences in the respective audiences these attract — but that’s an artificial division in the world of Schumann and his fellow Romantics. Schenkman hopes to bridge that gap with “The Poet Speaks,” for which he will be joined by two musical friends to perform an evening of instrumental music as well as one of Schumann’s best-loved song cycles, “Dichterliebe” (“Poet’s Love”). “I feel so drawn to Schumann’s music — and also to the music of his wife, Clara — because of its intense sincerity,” Schenkman says. Clara Schumann, a celebrity pianist of her era, and a composer in her own right, will be represented by her Op. 6 Nocturne. It was as an early-music performer focused on harpsichord music from the 17th and 18th centuries that Schenkman established his reputation. He recently expanded an already prolific discography with “The Art of the Harpsichord,” the culmination of years of becoming acquainted with the rare historical harpsichord collection of the National Music Museum in Vermillion, South Dakota. He also points to Schumann’s affinity for J.S. Bach, who was the centerpiece of last month’s season-opening program of Byron Schenkman & Friends. Along with actual musical influences, there’s the matter of attitude. Thomas May writes about the arts for many publications. His books include “Decoding Wagner” and “The John Adams Reader” and he blogs at www.memeteria.com.